We are delighted to welcome Bishop Ian Brackley, former Bishop of Dorking, to the service at 6pm on Trinity Sunday, 11 June, at Mereworth Church. Bishop Ian was suffragan of Guildford Diocese for 20 years, and served under 3 different Diocesan Bishops. Bishop Ian is about to take over the role as Chair of the Retired Clergy Association. Photo and short biography on the link below. 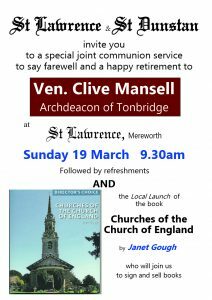 Come Mereworth 11 June, 6pm to hear more from Bishop Ian. Pray with us for healing in heart and body for the wounded and traumatised; for comfort for the grieving; pray for those still missing to be found. Give thanks for the NHS and the medical care everyone will receive for free, regardless of their social status, gender, culture, faith or language. OH LORD OUR GOD, SOURCE OF ALL GOODNESS AND LOVE, ACCEPT THE FERVENT PRAYERS OF YOUR PEOPLE; IN THE MULTITUDE OF YOUR MERCIES LOOK WITH COMPASSION UPON ALL WHO TURN TO YOU FOR HELP; FOR YOU ARE GRACIOUS, O LOVER OF SOULS, AND TO YOU WE GIVE GLORY, FATHER, SON AND HOLY SPIRIT, NOW AND FOREVER. AMEN. 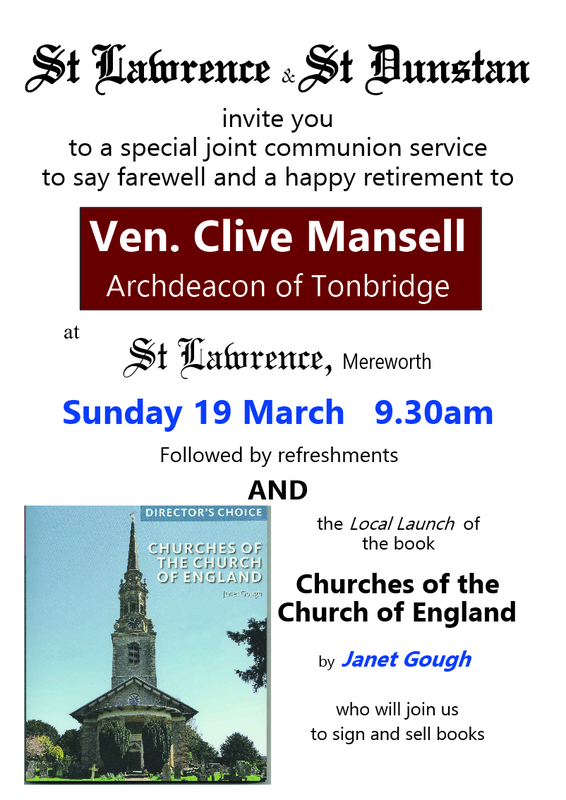 Make a note in your diary now…. 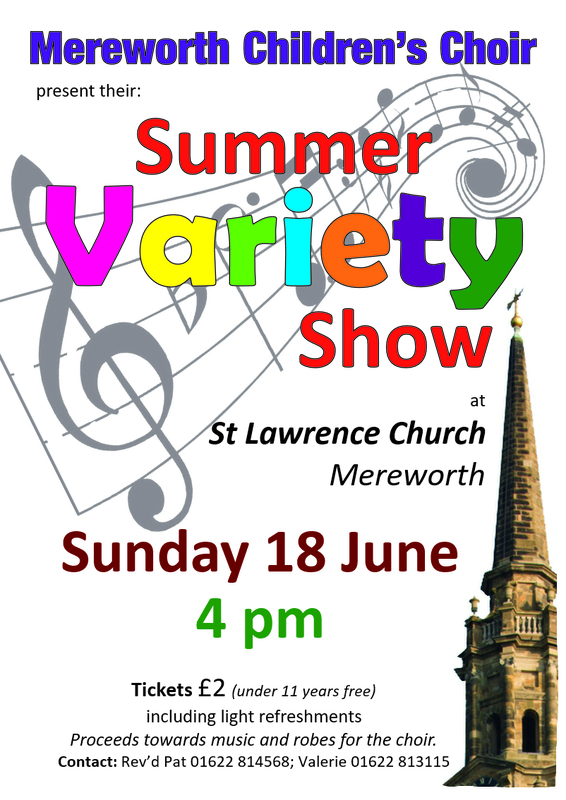 On Sunday 18th June, there is a Summer variety show at 4pm at St Lawrence Church. 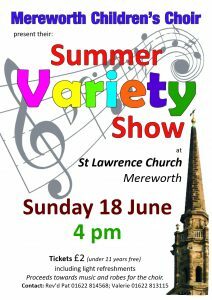 Tickets are just 2 pounds (free if you are under 11) and includes light refreshments. 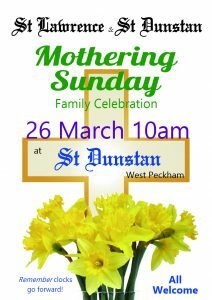 We have a whole selection of events planned in West Peckham, Mereworth and West Malling for this special time of year. There is traditional, modern, serious, fun, early, late and even an Easter egg hunt. 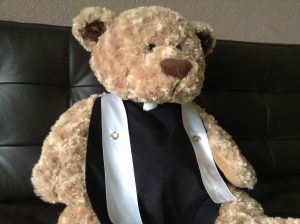 We hope you will find something for you…. 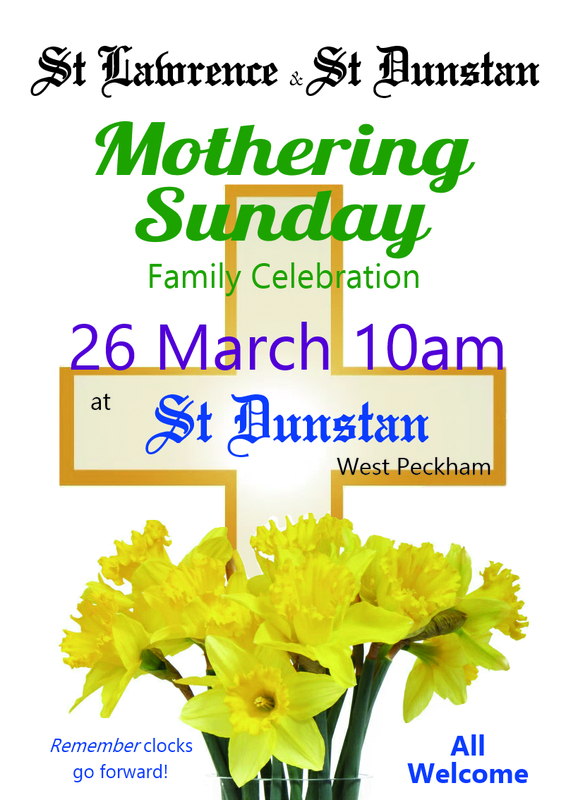 11.00 Easter Family Communion, West Peckham, followed by an Easter Egg hunt for children. Maybe we can help you out? 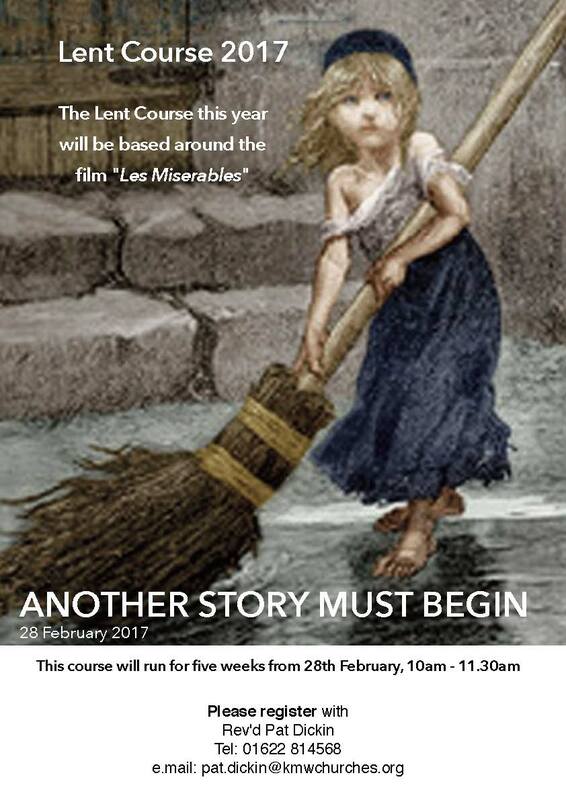 The Lent Course this year will be based around the film “Les Miserables”. The course starts on Tuesday 28 February, and runs for 5 weeks every Tuesday 10am. There is a book to accompany the Lent course that will be pre-ordered for you. Invite your friends to watch the film ahead of the course starting. Each week will focus on one of the characters in the film, and together we will reflect on our own lives as Christians following a calling to be more truly ourselves. In the past years, those attending have found the sessions to be relaxed open spaces, with great opportunities for discussion. There will be 5 Sessions, starting on Tuesday 28 February at 10am, and taking place every Tuesday until March 28th. There is a book to accompany the sessions.